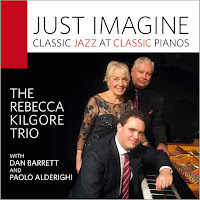 bebop spoken here: CD Review: Rebecca Kilgore Trio - Just Imagine. 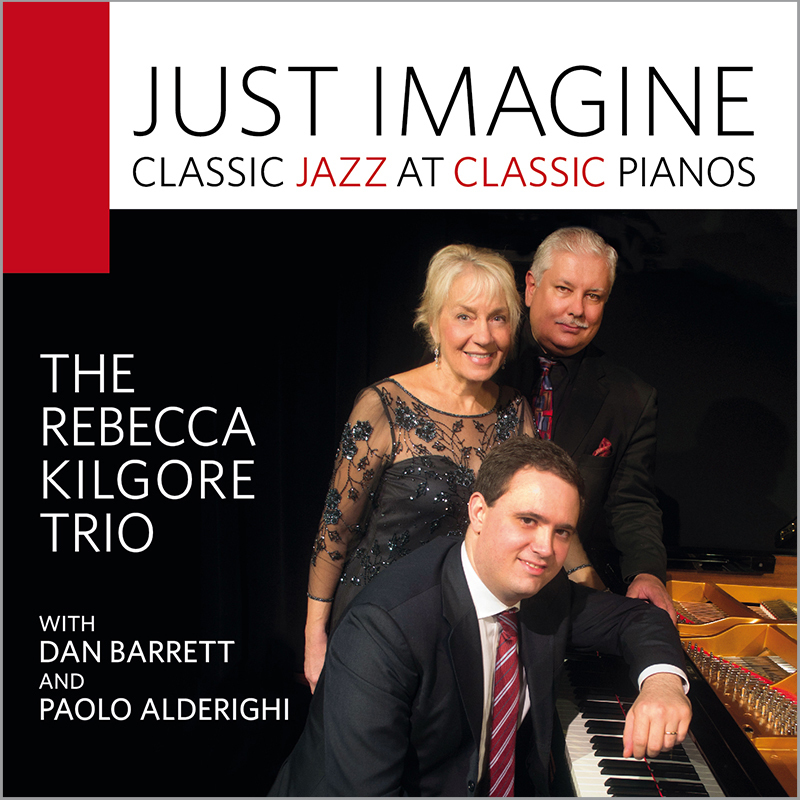 Rebecca Kilgore (vcl/gtr); Dan Barrett (tmb/pno); Paolo Alderighi (pno). This is just about as close to perfection as you can get, that is, if your tastes run to exquisite vocals, smooth trombone work (rather like what Big T would have sounded like if he'd been still with us), mid period piano playing and a choice of unhackneyed material (Cry Me a River the exception but even that sounds as fresh as the first time around). In short, a 5 star album if ever there was! Barrett has that beautiful sound so beloved of such musical sliders as Urbie Green, Carl Fontana and, of course, the aforementioned Teagarden absolutely and totally lyrical - albeit with some Tricky Sam plunger work and a bit of Vic Dickenson along the way. Alderighi, a young Italian who Kilgore met on a jazz cruise, is so harmonically sound you wonder how anyone could select alternative chords! I think Joe Bushkin, who wrote the opening track, would have approved - there's also a little bit of Garner around the edges. And Rebecca, a voice as cool and as welcome as a Pimm's No. 1 when basking in the shade on a warm day. The timbre of the voice, the pitching and the way she handles a lyric bears comparision with any of her contemporaries. Oh Look at me Now; Daddy Won't you Please Come Home; Just a Little Bit South of North Carolina; Song of the Blues; Seventh Avenue; Just Imagine; Lucky Day; Almost in Your Arms; I'm in a Low Down Groove; I'm Rhythm Crazy Now; Three Coins in the Fountain (piano solo); Cry Me a River; Serenade to Sweden (instrumental); Soft Winds; Misery and the Blues (two pianos). At least half of the tunes were new to me - but not for long. By the time I've worn this disc out I'll know them better than Stardust! "These sessions produced lasting music, the rare kind that emerges from a devotion to the art. What a gift to us all!" Available on Blue Swing Records BSR014. Well spotted re Paolo - see left hand column - July 26.